Lately, we did a brief review about the tecno R7 Android Phone which is powered with 1.5GHz Hexa - core processor. A very powerful processor (6-core). We also discussed about the things you don't know about the tecno R7. Today's stroll, I would brief you guys about the easiest way on how to root tecno R7 Smartphones without the use of PC. 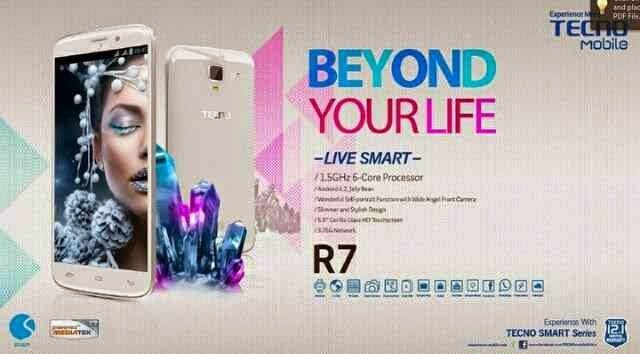 Before rooting your tecno r7 smartphone, It is believed that you know the advantages and disadvantages of rooting android smartphones. Of course, the ugly side of rooting the tecno r7 smartphone is that, it voids the 12-Months Warranty that comes with your smartphone. Frameroot is an android program that serves as a universal rooting program that is compatible for most android smartphones. Well, It's tested and comfirmed that this software also roots the tecno R7 Smartphone. Step 2: Then Install and Run it. 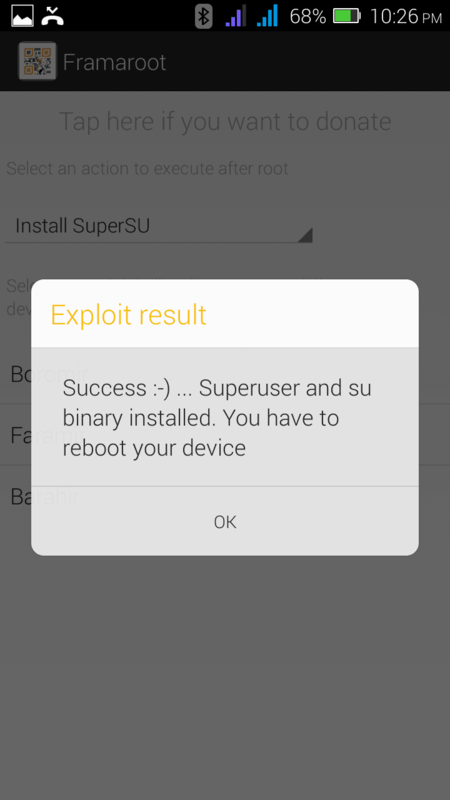 Step 3: After that, select Barahir expliot, then within few seconds, you would be notified that Superuser and Su binary have been installed. Step 4: Simply Reboot your device to complete the rooting access. Congratulations. Your Tecno R7 Smartphone now has a Root Access. 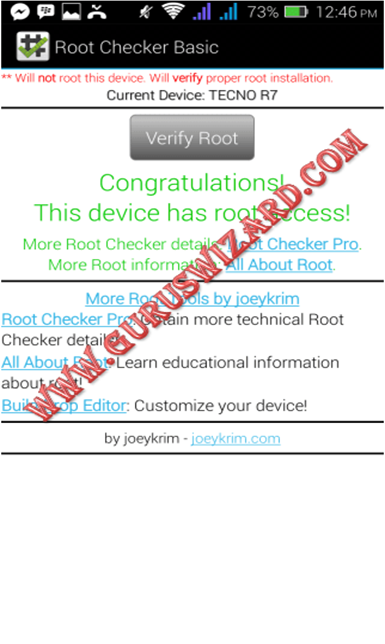 Advice- It would be wise for you to comfirm the root access for your device with Root Checker. Hope this helps? If you got any related question, pls'd let us know. If you've any issue with your android smartphone, we can help solve if at our resolution centre, where all problems regarding your android phones and tablets are being resolved.